China’s securities regulator will revamp two long-established inbound investment programs to give foreign investors easier access and more investment options in the country’s capital market. Authorities plan to combine the Qualified Foreign Institutional Investor (QFII) program and its yuan-denominated sibling, the Renminbi Qualified Foreign Institutional Investor (RQFII) program, according to draft rules published Thursday by the China Securities Regulatory Commission (CSRC). The programs allow foreign institutional investors to trade in China’s stock and bond markets under government-approved quotas. Both markets are the world’s third-largest behind those of the U.S. and Japan. The proposed QFII and RQFII combination is the latest move by Chinese authorities to further liberalize the country’s financial markets in response to calls by global financial institutions for more access. The new rules will “promote high-quality opening of China’s capital markets and introduce more long-term overseas capital,” the CSRC said in a statement. The combination will unify regulations for the two programs and simplify investor applications to them, the CSRC said. The agency said it will also lower the threshold by scrapping quantitative criteria and shorten the review procedure for foreign investors. The new rules will allow foreign investors to trade securities on China’s main over-the-counter equity market, known as the New Third Board, and also invest in private funds, bond repurchase agreements and derivatives, including financial futures, commodity futures and options. Foreign investors under the programs will also be allowed to trade on margin and participate in securities lending on stock exchanges, the draft rule said, which will be open for public comments until March 2. Access to margin trading and securities lending would greatly improve the investment turnaround time for foreign investors, as they would be allowed to borrow money onshore for China investments, instead of having to relocate assets from other regions, which takes time, according to Thomas Fang, managing director and head of China equities at UBS Group. In addition, the broader scope of investment allowed under the QFII and RQFII programs will benefit investors with hedging needs, Fang said. UBS is now one of the largest QFII investors in terms of approved quota. Caixin reported in December that financial regulators held a closed-door meeting with QFII and RQFII investors Dec. 13 in Beijing to discuss the possibility of extending their investment scope. Officials told the institutions that the “QFII and RQFII programs are the major access channels to China and the reform remains a top priority for the CSRC in 2019,” according to an internal email seen by Caixin. The QFII channel, first introduced in 2002, has been one of the paths for long-term investors -- such as pension funds and sovereign wealth funds -- to invest in China. It is still a mainstream investment avenue with advantages in beneficiary ownership recognition and the flexibility to invest in multiple markets, according to Sophia Chung, head of securities services with HSBC China. However, in recent years, it has been partially displaced by the launch of the stock- and bond-connect programs that link mainland markets with Hong Kong. The stock and bond connect programs are more liquidity and offer more investment flexibility. In an attempt to refine the program for broader appeal, China doubled the quota for the QFII program to $300 billion from $150 billion last month, the first increase since July 2013. That followed a decision last June to remove a 20% monthly cap on moving assets out of the mainland for participants of QFII and RQFII. By the end of 2018, a total of $101 billion of quotas had been approved for 309 QFII investors. A total of 233 overseas institutions won quotas to invest 656.7 billion yuan ($97.6 billion) in China through RQFII, according to the CSRC. 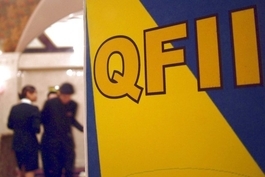 At first, the revival of the QFII and RQFII program is most likely to benefit onshore private investment funds set up as wholly foreign-owned enterprises (WFOEs) by foreign asset managers, Fang said, as these foreign firms are more familiar with the investment strategies of the QFII and RQFII program. 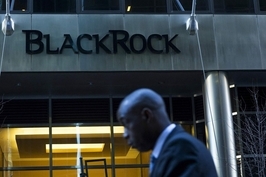 The Asset Management Association of China (AMAC) has approved 17 private fund managers owned by WFOEs so far, including those established by BlackRock Inc., Fidelity International, hedge-fund giant Bridgewater Associates LP, and Swiss bank UBS’s UBS Asset Management. 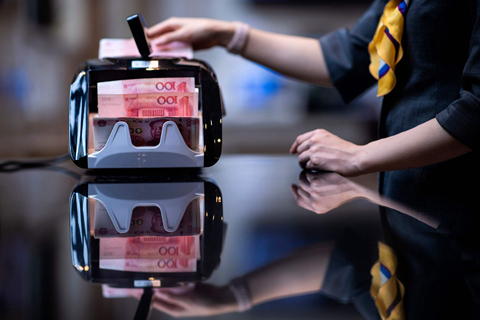 Most WFOEs have struggled to attract investment funds on the mainland because they lack a long track record and face stringent internal and external compliance requirements, Caixin earlier reported. Now the refined program is likely to benefit players such as Bridgewater and Man Group, since their investment strategies need full investment access to the market as well as tools like derivatives and options to hedge, a fixed-income investment manager at a foreign fund house told Caixin. Luring foreign investment is at the top of agenda for financial policymakers this year, with the pace of new policies to open up the domestic market continuing to accelerate.Bloomberg said Thursday that it will add China’s yuan-denominated government and policy bank bonds to the Bloomberg Barclays Global Aggregate Index starting in April, marking the Chinese debt market’s first inclusion by a major global gauge. Eric Robertsen, head of global macro strategy and foreign-exchange research at London-based Standard Chartered Bank, expected China’s bond market alone would attract nearly $300 billion in additional investment over the next three years due to the inclusion. CSRC Vice Chairman Fang Xinghai said last month that he expected an increase of roughly 600 billion yuan in foreign investments in mainland stocks in 2019, nearly double the 2018 increase.